A vast majority of the technology industry’s leaders and innovators are coming together in Las Vegas this November. Through a series of six different conferences, all covering different technological specialties, the industry’s brightest minds will connect and discuss the most advanced technology. These companies will be working together in an effort to discover new market opportunities and pave the way for future technological advancement. During these conferences, several very important technical topics will be dissected. The topics of interest include cloud-based control of devices, interoperability, cyber security, advancements in wireless connectivity and low power design, and the development of the advanced technology for the Internet of Things (IoT) and Machine to Machine (M2M) applications. Grid Connect was recognized as leading and emerging IoT player, and will be considered one of the technical experts at the Internet of Things West conference. Whether you call it the Internet of Things, machine to machine, Connected Devices, the Social Web of Things or the Networked Society, it is hard to deny that more and more "things" are being connected every day. The Internet of Things has exploded! From light bulbs to automobiles to buildings, things are getting a digital makeover as the IoT connects people, devices, and applications wirelessly, turning them “smart.” IoT applications have the potential to transform every sector of business by allowing enterprises to take informed decision, optimizing the process, and supporting innovative business models. The combination of ‘low-cost’ connected devices with the need for data drives Internet of Things. Examine business opportunities in everything from M2M to green buildings to smart devices, explore how to create a wireless business ecosystem with IoT platform, and what limitations IoT might have technologically. Since 1977, the International Wireless Communications Expo (IWCE) has been the authoritative annual event for communications technology professionals in the working world. IWCE features over 350 exhibitors showcasing the latest products and trends in the industry. Over 7,000 individuals attend from a diverse group of industry professionals including government/military; public safety (law enforcement, fire service, emergency medical & 911); utility; transportation and business enterprise. This year’s show will be held March 16-20, 2015 at the Las Vegas Convention Center in Las Vegas, NV. The whole “Internet of Things” theme reached a fever pitch at this year’s CES in Las Vegas. Many of the big tech players are trying to become the platform for how to connect together the growing list of devices with wireless technology inside of them–everything from your car to your thermostat. Apple stopped officially exhibiting at CES back in 1992, but you could find the first batch of devices that are HomeKit certified, which is Apple’s protocol it announced last June for making smart home devices working safely and securely in iOS. There were quite a “smart outlets” that basically allow you to control an outlet through your Apple product from iHOME, Incipio, GridConnect and iDevices. Read more at Forbes or download the PDF now. Join Us at International CES 2015! 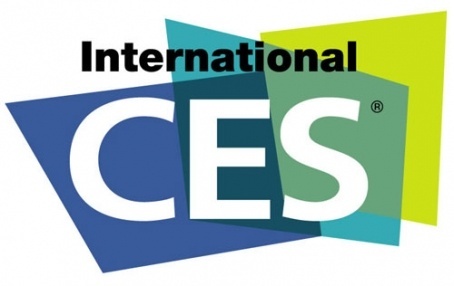 The International CES is the world’s gathering place for all who thrive on the business of consumer technologies. It has served as the proving ground for innovators and breakthrough technologies for more than 40 years—the global stage where next-generation innovations are introduced to the marketplace. As the largest hands-on event of its kind, CES features all aspects of the industry. And because it is owned and produced by the Consumer Electronics Association (CEA), the technology trade association representing the $208 billion U.S. consumer electronics industry, it attracts the world’s business leaders and pioneering thinkers to a forum where the industry’s most relevant issues are addressed.